I love having these monthly NO PREP packs on hand. My kinders enjoy these hands-on activities, and I feel confident that I am teaching and reinforcing the Common Core math and language arts standards. I can quickly print activities and make copies so I am ready to go! 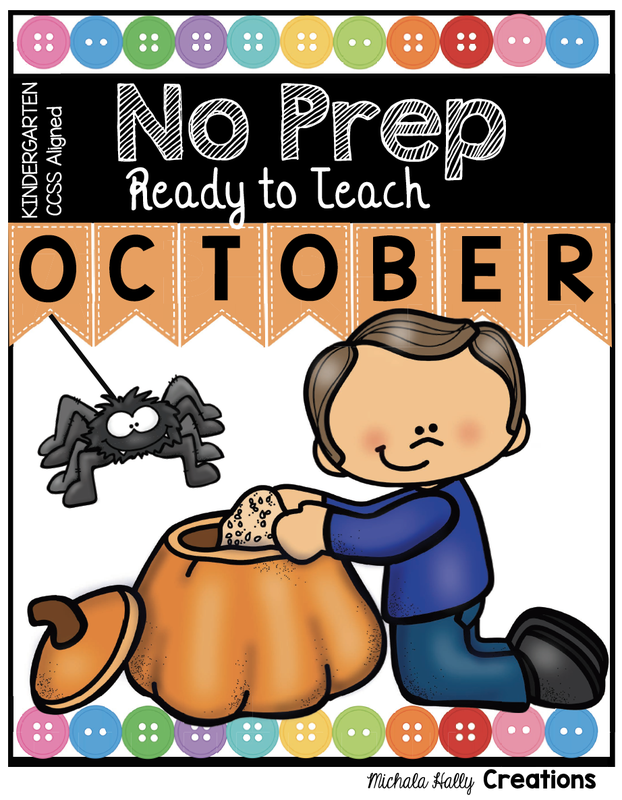 Each monthly packs comes with 70+ pages of ready-to-teach printables. These are perfect for seat work, small groups, whole group instruction, math and literacy centers, sub tubs, homework and more. To see previews and try FREEBIES from each monthly pack, click the pictures below. ★ Sequencing – two activities! You can purchase each month individually, Or SAVE BIG with my year long No Prep BUNDLE!